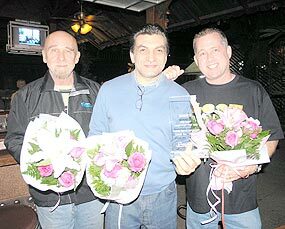 Mohamad Jesr (centre) was the winner of the Garden Bar Quiz Championship 2008. 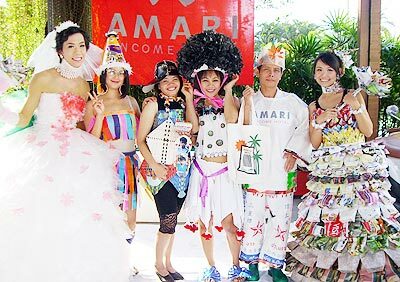 Some innovative costumes were on show at the Amari Rincome “Miss Recycle” contest. 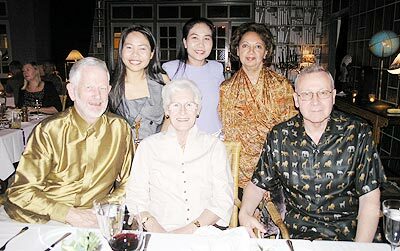 Daniel, Pui, John and Hazel celebrated New Year at the Ramling Lodge. 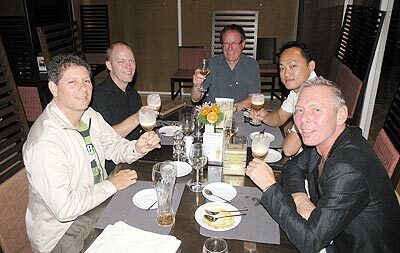 Mark, Brent, Doug, Air and Henk chose the excellent buffet at Kantary Hills for their New Year’s Eve treat. 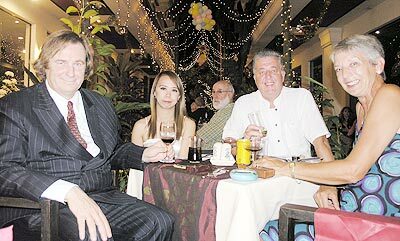 (Right) Pakin Ployphicha and Toby Allen, CEO’s of the Oasis Spa (Thailand), recently hosted their annual staff party at the Amari Rincome Hotel. 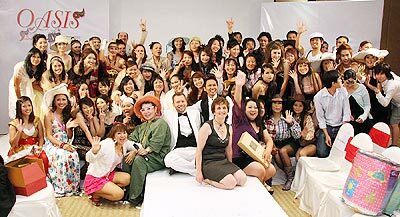 The ‘Extravaganza’ theme included the presentation of awards to staff in all categories. 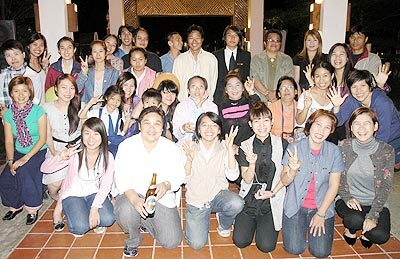 More than 10 ‘Employees of the Year’ received a gift of an overseas tour package. 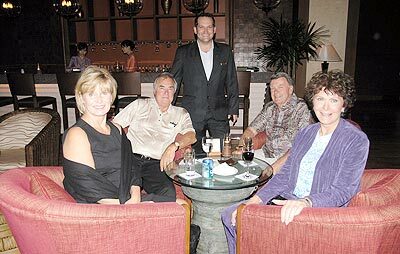 Linda, Ken, Ed and Ann (seated) welcomed in 2009 at the Shangri La with the hotel’s F & B manager, Golden Whitehead (standing). A smiling group at the St. Germaine late night party. Liz and Martin Spring celebrated their 50th Wedding Anniversary at The House Restaurant earlier this month. 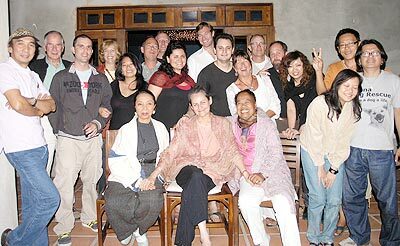 The Sabu Sabu Party proved a highlight of the Janaury social calendar. High spirits at the JJ Markets staff party.